Since 1969, Krueger’s Supply has provided the highest possible service in the material handling industry. 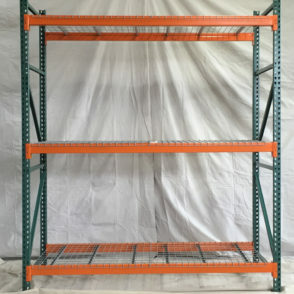 From new or used pallet racks to industrial shelving, lockers, or carts, we have you covered. Used Pallet Racks, Pallet Jacks & Carts, Used Industrial Shelving, Wire Shelving, Lockers, Industrial Ladders, Handling Equipment, Plastic Bins and much more! Looking for something specific and don't see it on our site?